It’s that time of year again, more trucks on the road for Holiday needs. Unfortunately, this increase in truck traffic can result in more trucking accidents. There are demands on the trucks to make more deliveries and sometimes, there are greater time demands on the truck drivers as well.It’s that time of year again, more trucks on the road for Holiday needs. Unfortunately, this increase in truck traffic can result in more trucking accidents. There are demands on the trucks to make more deliveries and sometimes, there are greater time demands on the truck drivers as well. 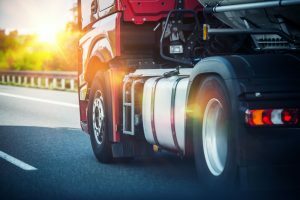 If you are hit by a commercial truck, you may be eligible to sue the truck driver in addition to the company who hired the driver, and trucking companies can be hard to locate. A tractor-trailer truck driver can only drive the truck a certain number of hours and must log each of those hours. Obtaining tractor-trailer truck logs and inspection reports can be complicated. A tractor- trailer truck may also have a sort of black box that needs to be preserved, so that you can definitively determine whether or not the tractor-trailer truck was speeding, breaking or engaged in some other sort of negligent conduct that caused the truck accident. If you are involved in a truck accident, you need to contact a lawyer as soon as possible to best protect yourself and your family. Remember through Wednesday, November 15th, it is Walk In Wednesday here to discuss trucking accidents and all your personal injury needs. Car Accidents and More-What Is Walk In Wednesday?